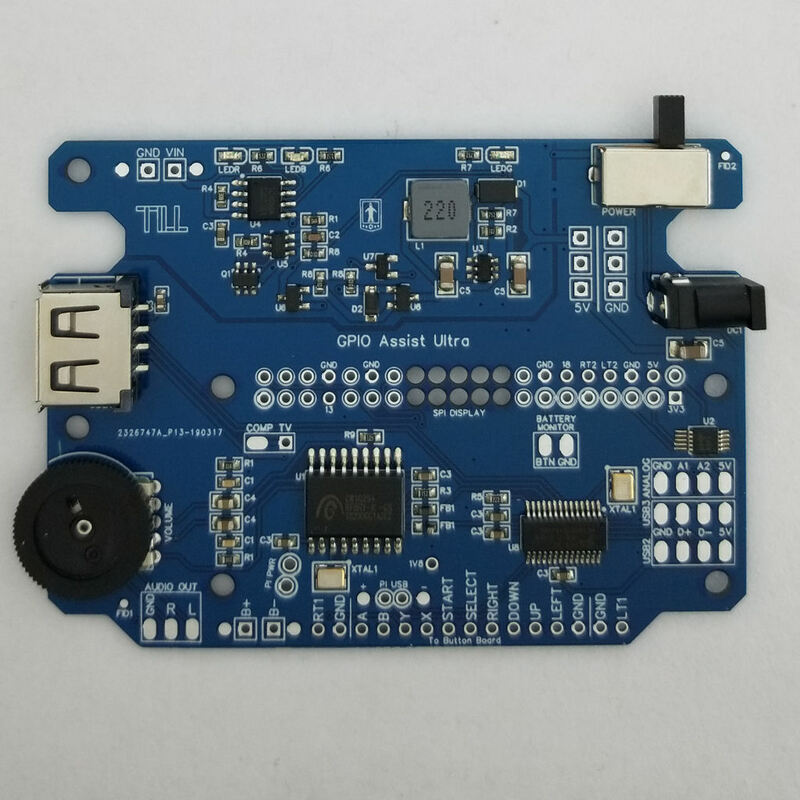 The Ultra GPIO Assist board enables the easiest wiring solution compared to the Basic or Pro boards due to the inclusion of power, USB, analog and audio components. 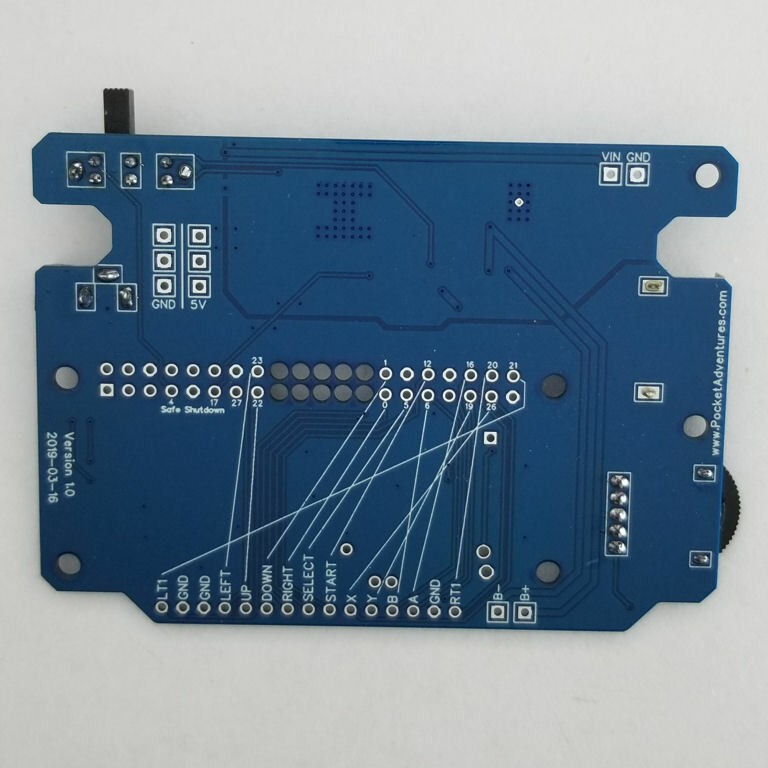 Like the other GPIO Assist boards, the Ultra board supports both composite and SPI screens. It also utilizes the same USB and C-Media 102S+ components. 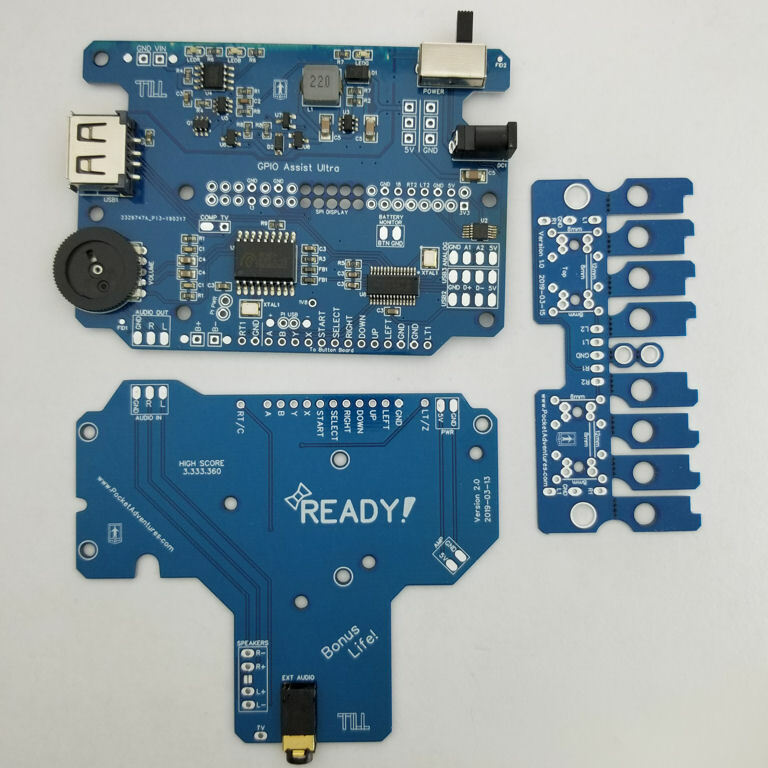 The power circuit incorporates a LiPo charger, 5V boost, safe shutdown, power switch, barrel connector and battery monitor via an ADS1015 chip. 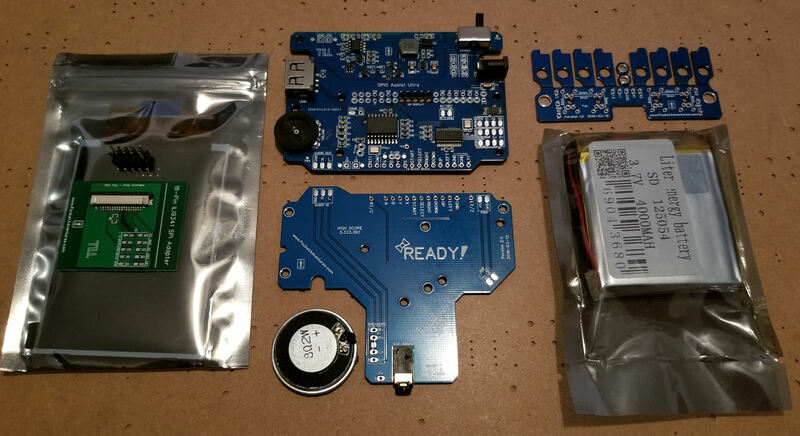 The board also provides an external USB port and volume control wheel.